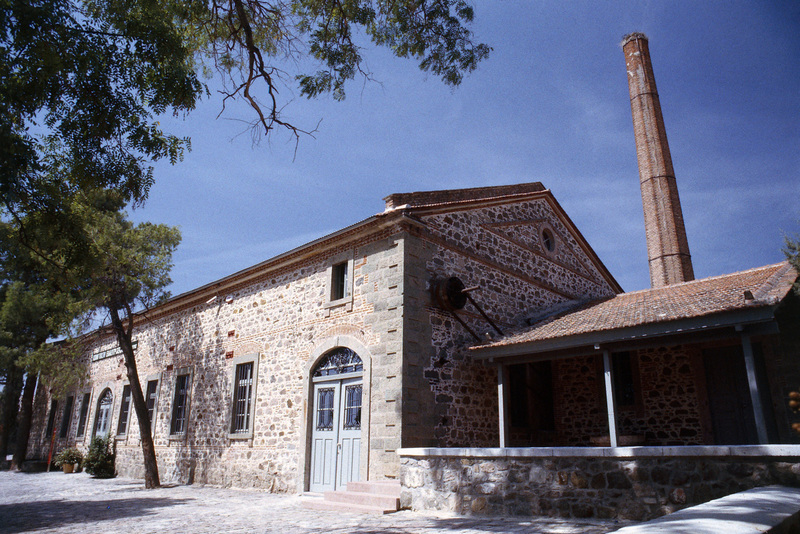 Among the Aegean islands, Lesvos stands apart in that it is a unique example of intense industrialization, which started in the 1880s. When Ottoman rule ended (1912), the island had a total of 113 machine-operated olive presses, 6 oil mills extracting oil from olive-pomace and 14 soap-works. 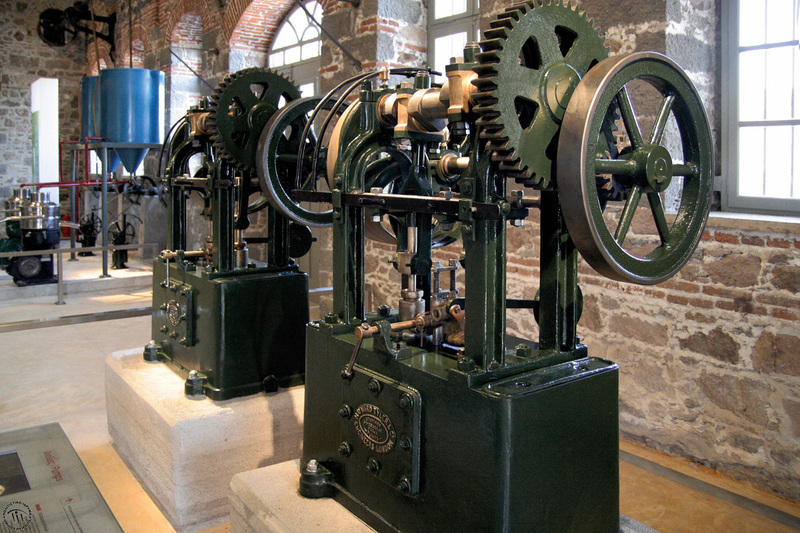 The local conditions of economic development and the island's favourable geographical position offered a fertile ground for theintroduction of mechanical motion. The Ottoman administration's policy, which facilitated tax-free imports of European machinery and equipment and offered tax exemptions and ownership rights to foreign nationals, also favoured this industrialization trend. 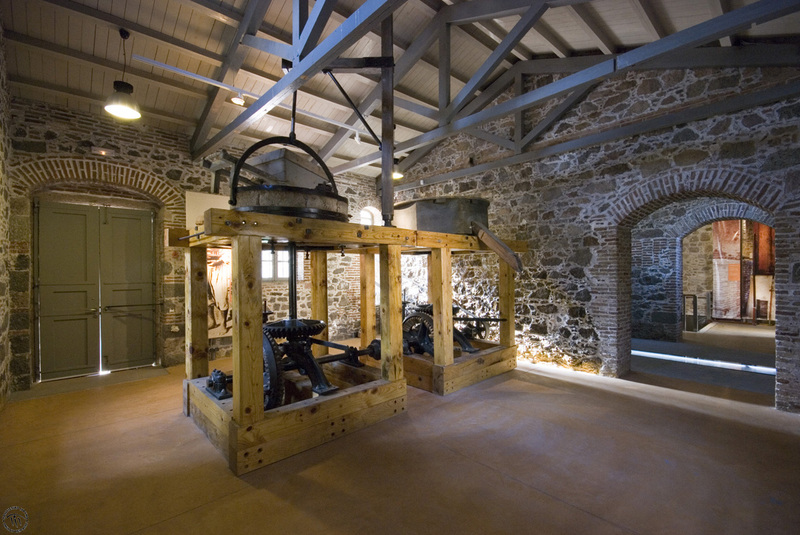 The Communal Olive Press of Aghia Paraskevi was founded in 1910 on the initiative of the village's inhabitants and, because of this, was named «του Κοινού η Μηχανή» (The People's Machine). Its creation corresponds to a double innovation for the agricultural world of Aghia Paraskevi: the use of the most modern technological means towards improving the production of olive oil and the progress of social ideas to such a degree that the establishment of a communal enterprise was proposed, its aim being to defend the social interests of Aghia Paraskevi. Thus, the communal press was established so as to become the means of ensuring the financial resources needed for the community's educational and social work. It started operating in 1911 and functioned uninterruptedly for almost 55 years. In 1967, the olive press finally shut down, as the military junta arrested most of the communal council's members. 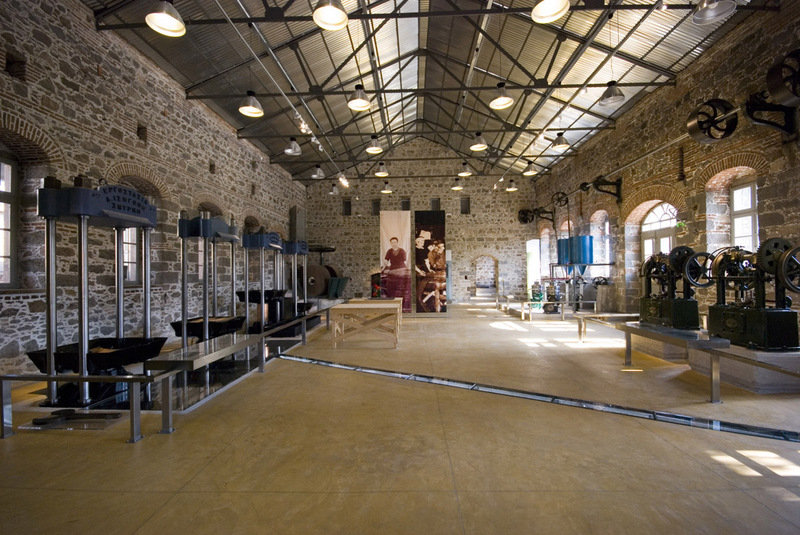 In 1985, as part of the effort to save Lesvos' industrial buildings, the premises were transformed into a multipurpose cultural venue. 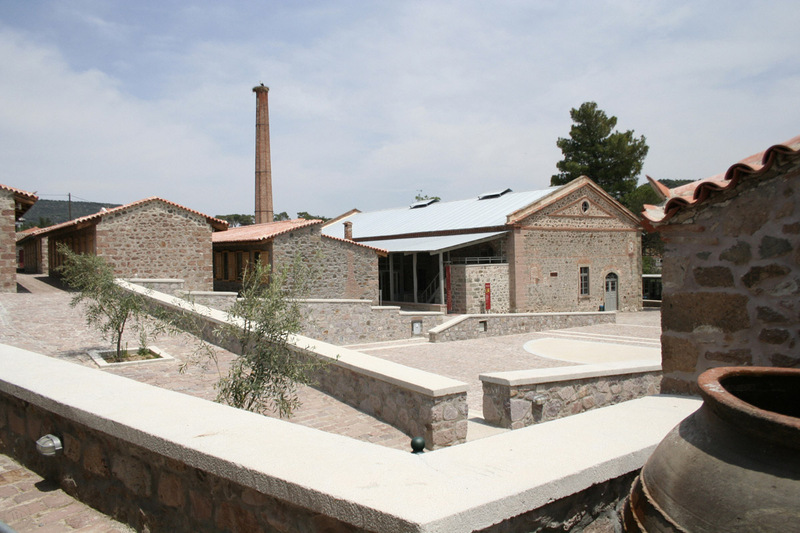 In 2004, the Municipality of Aghia Paraskevi granted the use of the building to the Piraeus Bank Group Cultural Foundation so as to create the Museum of Industrial Olive-Oil Production of Lesvos. 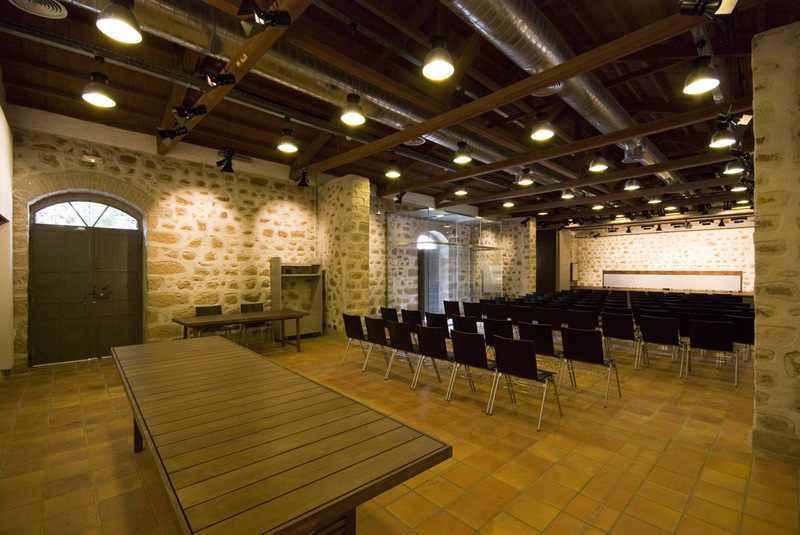 The project was included in the 2000?2006 Regional Operational Programme of the Northern Aegeanand was financed through the Third Community Support Framework under the aegis of the Hellenic Ministry of the Aegean. 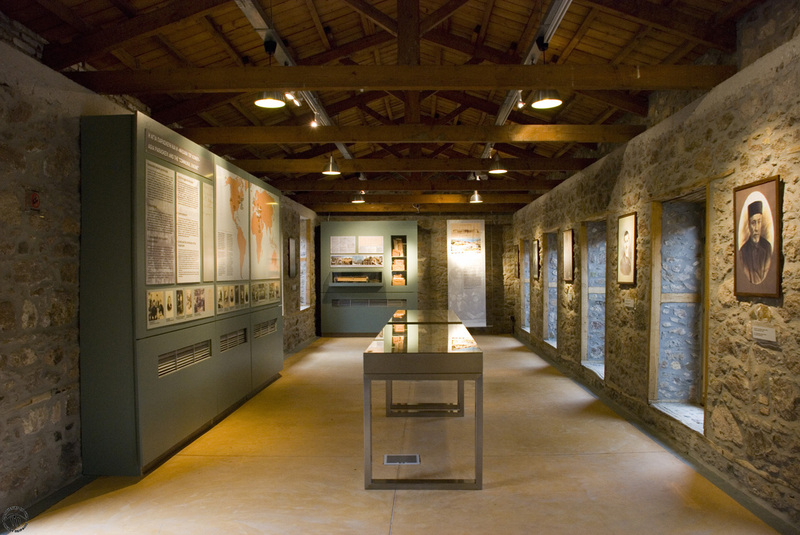 The museum opened to the public in September 2006 and is now one of the centres of the island's cultural life and a living monument of its industrial heritage.